Saturn’s beautiful, extensive rings are relatively young, perhaps created when dinosaurs roamed the Earth, according to new study. Scientists drew the conclusion after finding that the ring’s mass is less than previously thought and its frozen components are surprisingly bright and free from dusty cosmic impurities. “Based on previous research, we suspected the rings were young, but not everyone was convinced,” says study coauthor Phil Nicholson, professor of astronomy at Cornell University. The scientists found that the rings—particularly the dense B-ring, one of the three main rings and the brightest visible in a telescope—had lower masses than many expected, indicating a relatively young age. 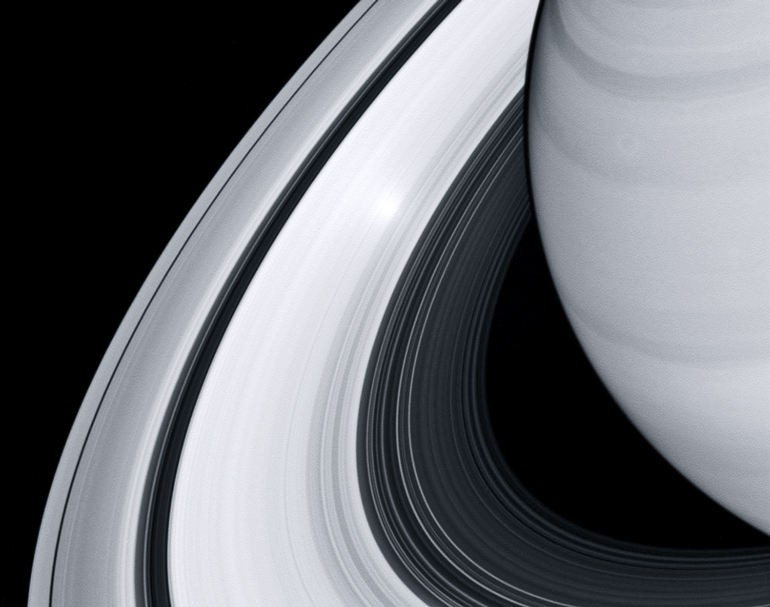 While Saturn is about 4.5 billion years old, the new Cassini data indicate that the rings probably formed between 10 million and 100 million years ago, according to the researchers. If interplanetary debris contaminated and darkened the rings over a longer period, they would appear much darker, according to NASA’s Jet Propulsion Laboratory. In 2016, Zhimeng Zhang conducted work examining the dust content of Saturn’s C ring. This research determined that the C ring, once thought to have formed in the primordial era, was less than 100 million years old. In 2017, she and her colleagues reported on similar measurements of the A and B rings, obtaining similarly young ages. Among ring scientists, Nicholson and others wagered what Cassini might find in terms of ring mass. The result was close to Nicholson’s prediction. “This is quite gratifying from a scientific and personal point-of-view that we got close to the real number when Cassini finally measured it,” he says. The study appears in Science. Additional researchers are from Sapienza University in Rome.